From Instagramming to Insta Shopping: Is this the Future of Online Shopping? Online shopping is a term that we have known for a long time and with the digitalized progresses in the commerce sector the whole shopping experience is getting to a next level. So, what does shopping have to do with Instagram? With the rising online commerce providers and the popularity of online shopping among customers Instagram wants a piece of the cake too. Instagram is currently planning to launch a specific shopping app, that makes online shopping even easier than it is already possible because of the tagging and linking of brands in the pictures and even in the Instagram stories (Newton, “Instagram is building a standalone app” n.pag). Instagram was at the very beginning just a social network app where everyone can share their picture. In a short period of time, more features came up which allowed the app keeping up their popularity. The success of the app could not be overlooked and for this reason Facebook bought Instagram in 2012 for a huge amount of money (Hill). “Hyperwars” is a term after Judson and Kelly that can be used to describe the competition that is going on in the business world. It means that just the fit ones can survive and gain the favour of their customers. Due to Instagram itself, more than 200 million people are visiting at least one company profile per day and 60 percent of the people say that they are discovering new products through the platform (Instagram Business). So why not take advantage of the popularity and reach that this app can achieve? Facebook already made a good decision to buy Instagram before someone else came first (Hill). Online shopping or the term e-commerce are not new but the forms of shopping are changing and the sector is getting bigger and bigger. “E-commerce can most simply be defined as doing business electronically” (Kracher and Corritore 72). According to Kracher and Corritore there are five characteristics that in their opinion define e-commerce. Those are simplicity, virtuality, speed, cost and interconnectedness and the Internet as a medium is responsible for the functioning of e-commerce. Everyone can access online shops and the costs are less than paying for example rent for a shop (Kracher and Corritore 72). The retail online sales worldwide have reached approximately 2.3 trillion US dollars and it is expected that the sales will hit about 4.5 trillion US dollars by 2021 (eMarketer). A study from Malaysia has shown that there is a significant connection between the intention to buy and the online shopping behaviour (Lim et al.). So, this study from Asia shows that online shopping knows no limits and it is popular not only in the western countries but it is also used around the whole world. Why would people choose to buy on Instagram? As we know from our own experience as users, Instagram is no longer just a social platform, additionally to that it offers new alternatives to shop through the app. Behind those marketing strategies there are people who decide how this product is presented to the users. Those people would be what Thaler and Sunstein call choice architects. “A choice architect has the responsibility for organizing the context in which people make decisions” (Thaler and Sunstein 3). 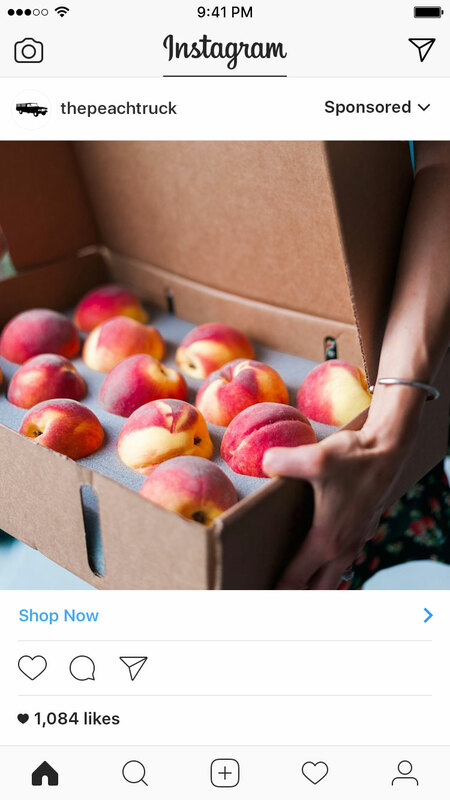 Therefore, with reference to Instagram, they are now trying to combine the social aspect with their own interpretation of online shopping. According to the logics that are explained by Davis and Chouinard it could be said that Instagram is using affordances to get people to not just connect but also to consume through the app. In order to do so, they have specific buttons and the Explore section, which makes it easier to see the shopping option and to use it. Instagram can therefore easily influence people to purchase products seen in the app by including hyperlinks and in that sense afford people to shop. In Instagram’s case people already know the app and are familiar with how it is functioning. It is already possible to link products in the Instagram stories and just with a swipe up move the online shop of a brand or the products of your favourite fashion blogger will be reachable. A little shopping bag sticker is added to the story and is leading directly to the things you want to buy. People can follow their favourite brands and shop directly if they see something appealing to them (Hatmaker). The matter is currently very trendy as they also just announced a few days ago that they will add a shopping tab to the Explore that allows us to shop different products with browsing through the feed of different brands (Newton, “Instagram adds a shopping tab“ n.pag). The new standalone app due to the Verge (Newton, “Instagram is building a standalone app” n.pag) would be just an additional attribute to their already known and integrated shopping feature. This would make it possible to buy goods though the app directly without being linked to a different website but it is not known yet whether the app will be launched. If they are really intending to launch a specific shopping app then it will be for sure not easy to deal with the online shopping giant Amazon. But, is this not too good to be true? If in the future, the commerce sector will be just app based or online, it may cause huge financial problems for physical stores and employers who will not have enough customers. And of course, just the giant companies will be ahead of the game to survive in the highly competitive economic sector. And finally, the socializing factor when we go out and buy something is different than to buy through a virtual shop with looking into the monitor of a computer. Can the virtual shopping experience keep up ahead with the real world one? It will be interesting to witness what Instagram is going to do and if they will be our social media based Amazon in the future. Davis, Jenny L. and James B. Chouinard: “Theorizing Affordances: From Request to Refuse.” Bulletin of Science, Technology & Society. 36.4 (2016): 241-248. Hatmaker, Taylor. “Instagram adds shopping tags directly into stories”. Tech Crunch. 2018. Archimedes Ventures. 22 September 2018. 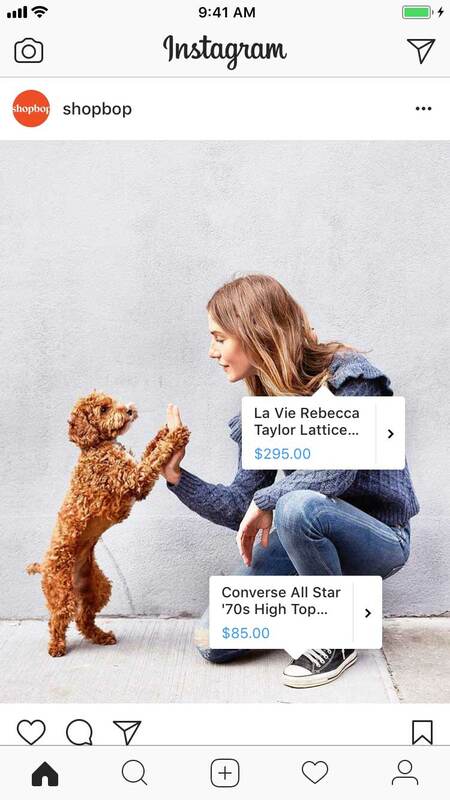 <https://techcrunch.com/2018/06/12/instagram-adds-shopping-tags-directly-into-stories/>. Hill, Kashmir. “10 Reasons Why Facebook Bought Instagram”. Forbes. 2012. Forbes Media LLC. 23 September 2018. < https://www.forbes.com/sites/kashmirhill/2012/04/11/ten-reasons-why-facebook-bought-instagram/#4f0761cbd1b1>. Instagram Business. 2018. Instagram. 21 September 2018. <https://business.instagram.com/getting-started>. Judson, Bruce, and Kate Kelly. HyperWars: Eleven Strategies for Survival and Profit in the Era of Online Business. New York: Scribner, 1999. Kracher, Beverly and Cynthia L. Corritore: “Is There a Special E-Commerce Ethics?” Business Ethics Quarterly. 14.1 (January 2004): 71-94. Lim, Yi Jin et al. “Factors Influencing Online Shopping Behavior: The Mediating Role of Purchase Intention.” Procedia Economics and Finance. 35 (2016): 401-410. Newton, Casey. “Instagram is building a standalone app for shopping”. The Verge. 2018. Fox Media. 21 September 2018. <https://www.theverge.com/2018/9/4/17819766/instagram-shopping-app-e-commerce>. Newton, Casey. “Instagram adds a shopping tab to the Explore page”. The Verge. 2018. Fox Media. 21 September 2018. <https://www.theverge.com/2018/9/17/17871080/instagram-shopping-explore-stories-app>. Thaler, Richard H., and Cass R. Sunstein. ​Nudge: Improving Decisions About Health, Wealth, and Happiness.​ New Haven, London: Yale University Press, 2008. Worldwide Retail and Ecommerce Sales: eMarketer’s Estimates for 2016–2021. eMarketer Report, July 2017. « Facebook’s ‘Rosetta’ System: A Form of Safety Implementation or Data Exploitation?